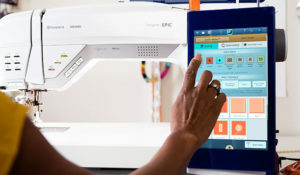 Viking Designer Epic Sewing and Embroidery Machine : Whether you’re sewing, embroidering or quilting, the DESIGNER EPIC™ top-of-the-line machine enable you to fulfill your greatest ideas. The first and only smart machine, thoughtfully created for you! Viking Designer Diamond Royale Sewing and Embroidery Machine: The DESIGNER DIAMOND Royale™ sewing and embroidery machine gives you the royal treatment in every stitch and delivers brilliant results. 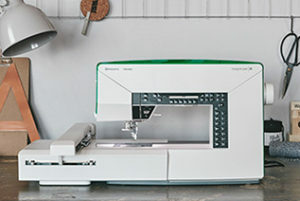 Viking Designer Ruby Royale Sewing and Embroidery Machine: Discover innovative techniques and built-in convenience features that help bring your creativity to the next level with this second-in-line sewing and embroidery machine. 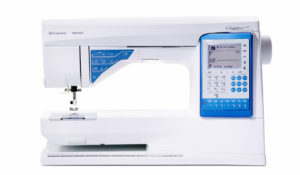 Viking Designer Jade 35 Sewing and Embroidery Machine: Want to turn your creativity up a notch? Let embroidery work its magic! 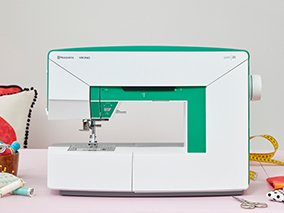 The DESIGNER JADE™ 35 sewing and embroidery machine is the ideal model for personalizing any project. 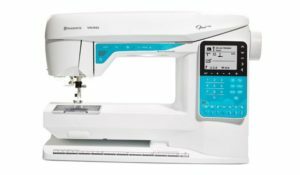 Viking Sapphire 965Q Sewing Machine: With its Interactive Color Touch Screen and features like the EXCLUSIVE SENSOR SYSTEM™ and the Straight Stitch Plate, this machine is ideal for quilters. 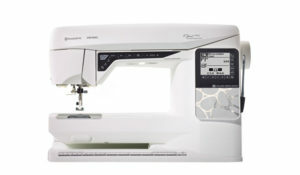 Viking Sapphire 930 Sewing Machine: With features like the EXCLUSIVE SENSOR SYSTEM™ and Exclusive SEWING ADVISOR™ this machine will give you ease and convenience. 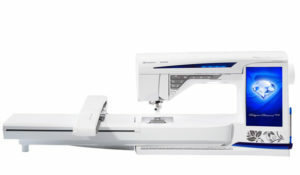 Viking Opal 690Q Sewing Machine: A modern computerized sewing machine with great quilting features and the EXCLUSIVE SENSOR SYSTEM™ that helps you go from good to great sewing! 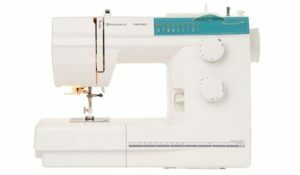 Viking Opal 650 Sewing Machine: A modern computerized sewing machine with loads of built-in assistance to help you go from good to great sewing! 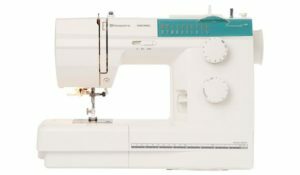 Viking Jade 20 Sewing Machine: A fantastic sewing machine with great features and modern design all in one. The machine of your dreams when you want your personality to shine through. Viking Emerald 118 Sewing Machine: A reliable sewing machine ideal for all types of sewing, with many practical features you will love. Viking Emerald 116 Sewing Machine: A sewing machine ideal for all types of sewing with many practical features you will love.